Ramadan is the only month where I get to savor a multitude of cuisines almost everyday- either through invites or when you accompany your family to one of the restaurants/ their friend's home. Having said that, I appreciate iftars that are quite traditional in nature. You are transported back in time to experience what food was like back then. Tucked away on The Beach, JBR is Seven Sands, a restaurant that serves the taste of the UAE. 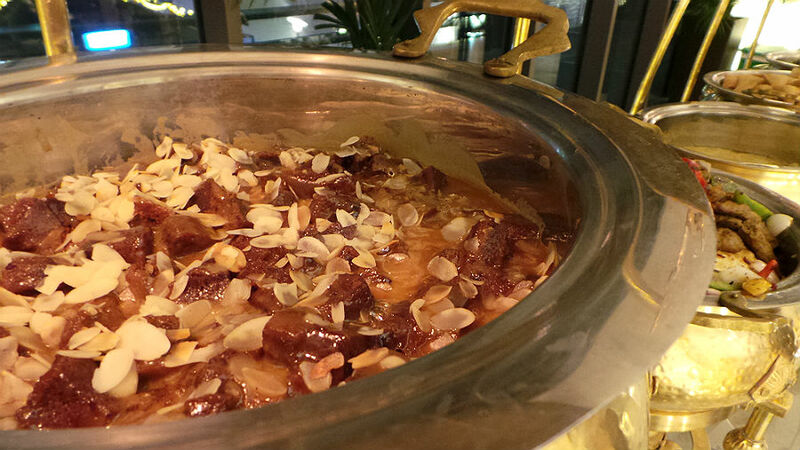 Specializing in Emirati cuisine, the food is a reflection of recipes that have stood the test of time. 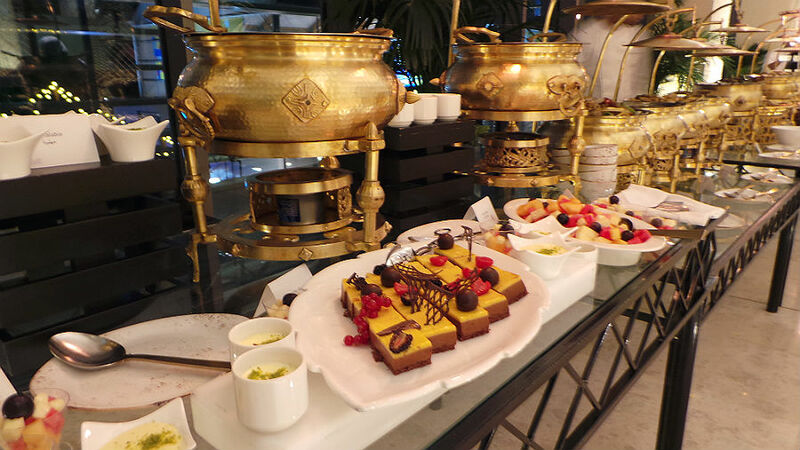 Having been born in the country, I really never had the chance to savor real Emirati cuisine until I visited Seven Sands last year with a friend. I loved the food and when I paid them a visit this year for iftar, I realized that not only did their Ramadan menu impress me once again, but also their hospitality. 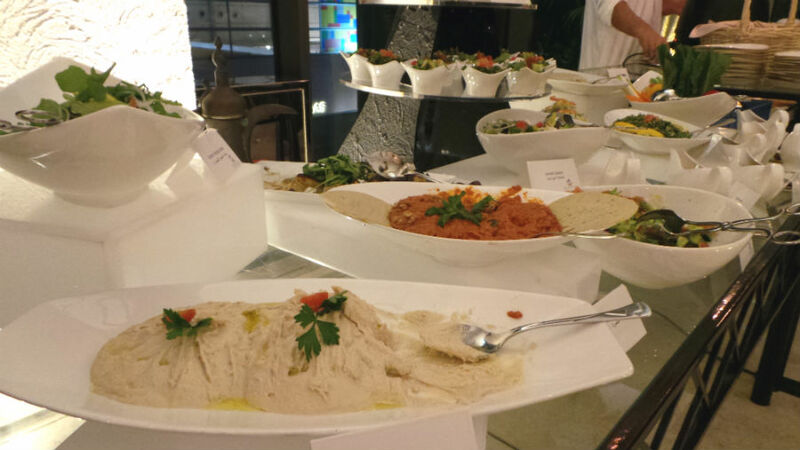 A specially curated menu for this Ramadan's iftar (and suhoor), you will see yourself greeted with appetizers featuring Moharama, Hummus, Hummus Beirute (a slightly different take on the traditional hummus- tastes so much better! ), Potato Marhamia and a selection of salads from Fattoush, Greek Salad and Green Mango Salad. 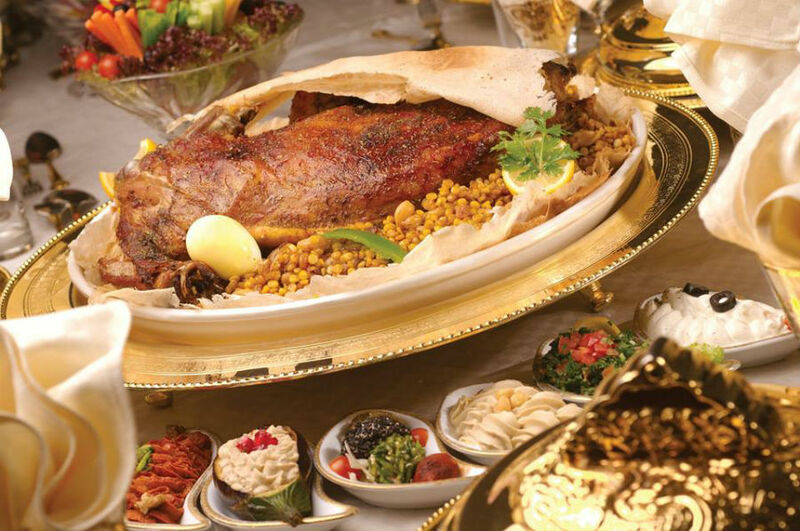 The main course is traditional Emirati and you can't miss the Fish Machbous, marinated fish and flavored rice (it's pretty much a favorite of seafood lovers), Ouzi Lahem (Lamb Ouzi), the traditional dish of roast lamb served on a bed of oriental rice. No Emirati meal is complete without the Ouzi Lahem. Additionally, the Chicken Madrouba, a delightful chicken based meal made with various lentils and oats, Lamb Okra, Vegetable Thereed (roasted vegetable stew), Harees and the Shark Sambousa will leave you spoilt for choice. 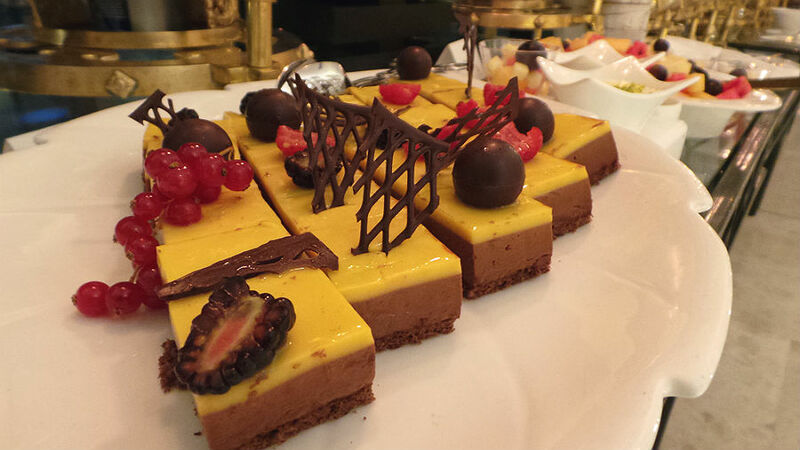 No meal is complete without dessert. 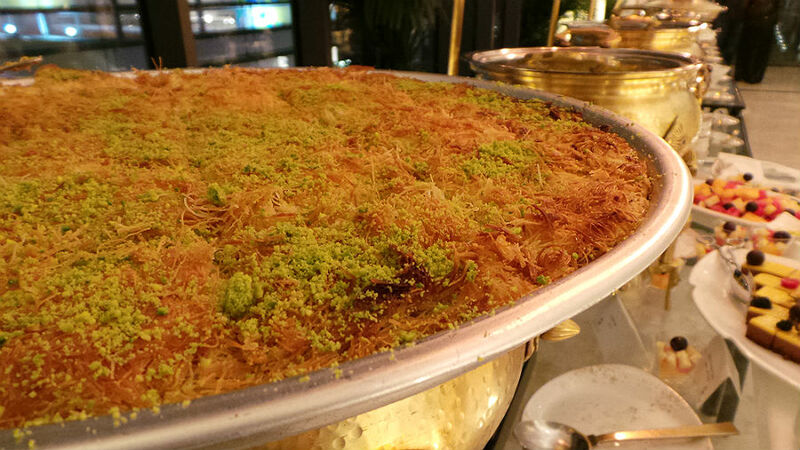 A sweet palette of Umm Ali, Muhalabiya, Kunafeh bel Jeben and a handful of others will delight individuals with a sweet tooth. One of the desserts you cannot afford to miss is the Sticky Date Pudding. An Emirati take on the English Sticky Toffee Pudding, this one features nuggets of date cake laden with rich toffee sauce. 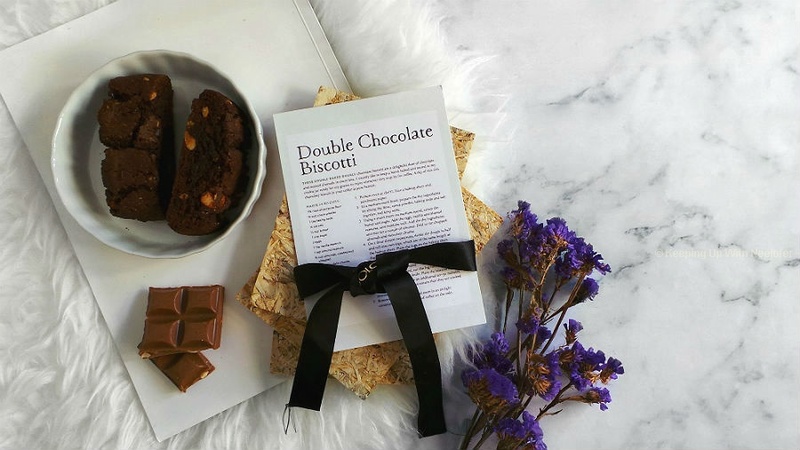 It's one of those decadent desserts that you want to have every week. I'd give Seven Sands' quality of food, the variety on the menu, hospitality and ambiance 5/5 stars. A bonus is no hassles when it comes to parking! Seven Sands iftar is reasonably priced at AED 155 per person, kids are at half price (6-12 years of age), free for kids under 6 years. 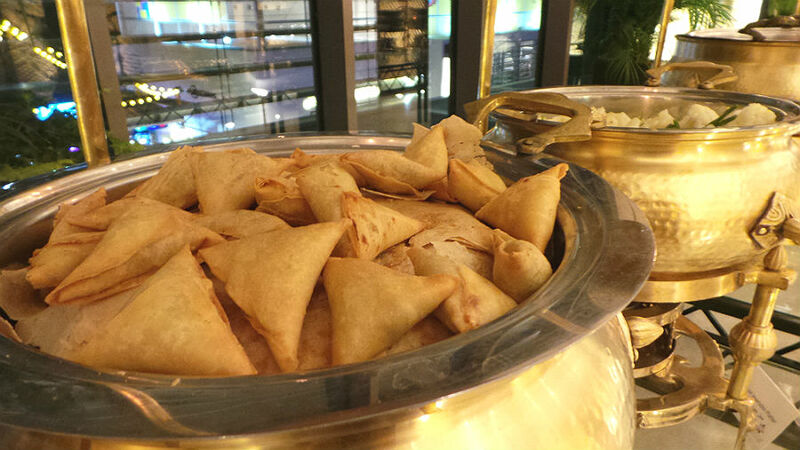 The iftar is available from sunset until 9pm, everyday. Seven Sands is located on The Beach, JBR Dubai.